Reece I. Sailer, Graduate Research Professor Emeritus, University of Florida, died of a heart attack at his summer home in Delaware on September 8, 1986. Born on November 8, 1915, and raised on a farm near Roseville, Illinois, he attended Roseville High School, spent 2 years at Western Illinois State Teacher’s College, and continued his education at the University of Kansas where he received an A.B. in 1938 and a Ph.D. in 1942. After a brief period as Assistant State Entomologist for Kansas, he joined the U.S. Department of Agriculture as a taxonomist responsible for the identification of true bugs and allied research. Although based at the U.S. National Museum, he had many field assignments and participated in the first, and still one of the most intensive, studies on the effects of DDT on a forest fauna. He also spent three summers in Alaska studying the biology and ecology of mosquitoes and other biting flies. 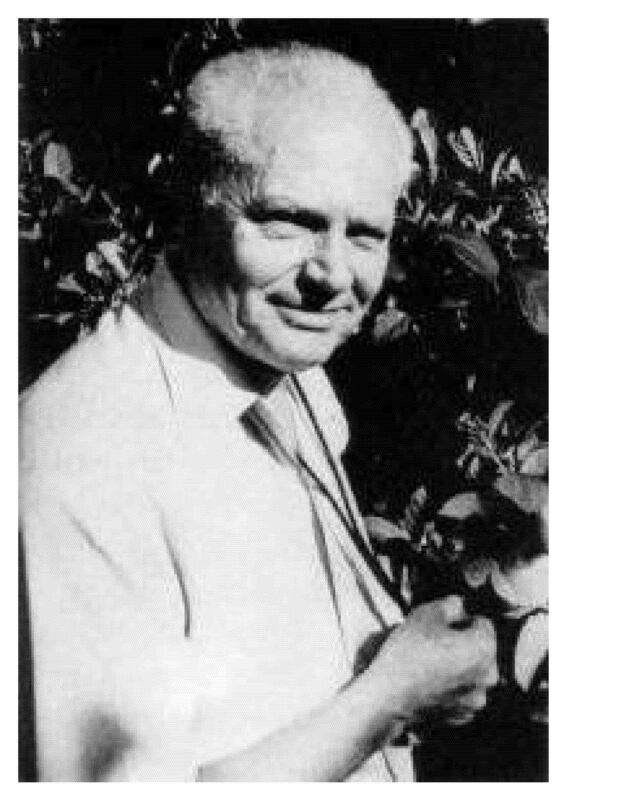 In 1957, he became Assistant Chief of the Insect Identification and Parasite Introduction Branch of the Entomology Research Division and in 1960 moved to Paris to serve as Director of the Division’s European parasite laboratory. He returned to Beltsville in 1966 and was appointed chief of the Insect identification and parasite Introduction Branch and in 1972, served as Chairman of the Insect Identification and Beneficial Insect Introduction Institute. In early 1973, he accepted the position of graduate research professor in the Department of Entomology and Nematology at the University of Florida, a post he held until he retired in 1985. He continued his association with the University of Florida, as professor emeritus and participated actively in various entomological pursuits until his death. As Director of the European parasite laboratory, he was responsible for the introduction of natural enemies which provided partial or complete control of several insects and weeds in the USA including the alfalfa weevil, European elm bark beetle, cereal leaf beetle, European pine shoot moth, the balsam woolly aphid, and tansy ragwort. Later, he directed ARS research programs in biological control of insect pests and weeds. While employed by the USDA, he served as Adjunct Professor of Insect Ecology at the University of Maryland (1951-1960) and as Adjunct Professor of Entomology at North Carolina State University (1967-1973). At the University of Florida, he actively developed classical biological control activities, taught a graduate level course in biological control, and directed graduate student research. Among the highlights of his career in Florida, he demonstrated that inoculative releases of the imported parasite Pediobius foveolatus, which did not over-winter, could provide effective control of the Mexican bean beetle for 3 to 5 years. His most significant achievement resulted from the importation of the parasite Encarsia lahorensis, which provided excellent control of the citrus whitefly. He was also successful in establishing Larra bicolor, a South American mole cricket parasite, in southern Florida. The economic savings to Florida alone as a result of the successful biological control programs in which he participated amount to tens of millions of dollars annually. Dr. Sailer authored or co-authored more than 110 scientific papers over a wide range of topics. His earlier works included papers on the systematics of stink bugs and other Heteroptera with the evolutionary significance of interspecific hybridization, the biology, taxonomy, and bionomics of mosquitoes, biting flies, blow flies, and water boatmen of Alaska, while most of his later ones dealt with various facets of biological control. Reece served in various capacities in the Entomological Society of America and was elected President in 1977 and to honorary membership in 1984. He was a charter member of the Society of Systematic Zoology, and held offices or membership in 15 or more scientific and professional societies.He was a regular participant in the annual meetings of the Florida Entomological Society. He was also one of the organizers of the Southern Biological Control Working Group and was active in the development of the Southern Regional Research Project S-192. Reece Sailer was dedicated to his students, always ready to offer advice and never too busy to council or discuss matters with colleagues. He kept in touch with his many friends throughout the world and offered ready hospitality to a continuing succession of foreign visitors. Reece is to be equally honored and respected for his scientific achievements and for his considerate and courteous attention to his fellow scientists and students.